The Ooni of Ife, Oba Adeyeye Enitan Ogunwusi (Ojaja II) who is presently in the U.S continues to receive recognition from the people of United States. 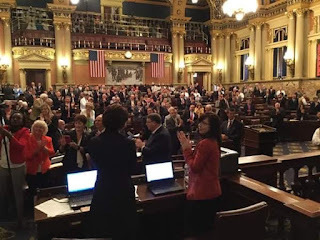 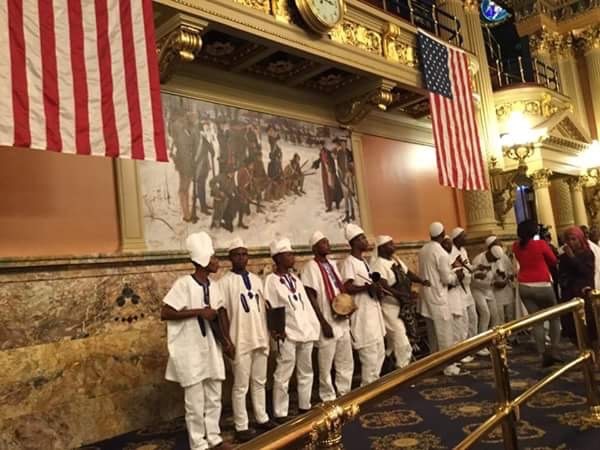 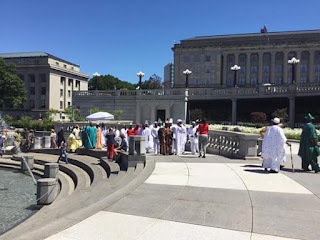 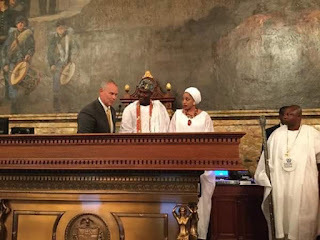 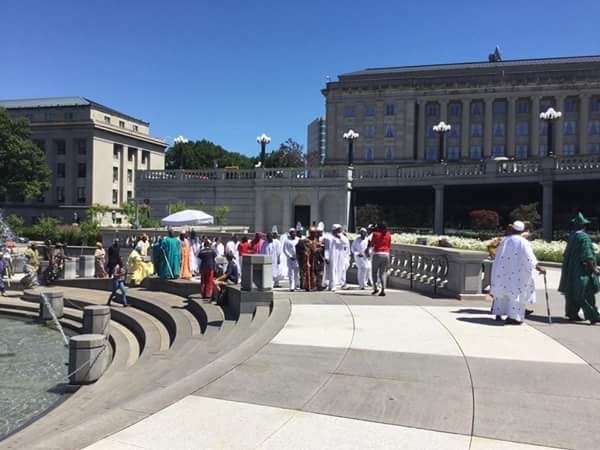 The Ooni paid a visit to the House of Representatives in Washington D.C in the United States yesterday where he gave a speech relating to African (Yoruba) culture in front of the full house. 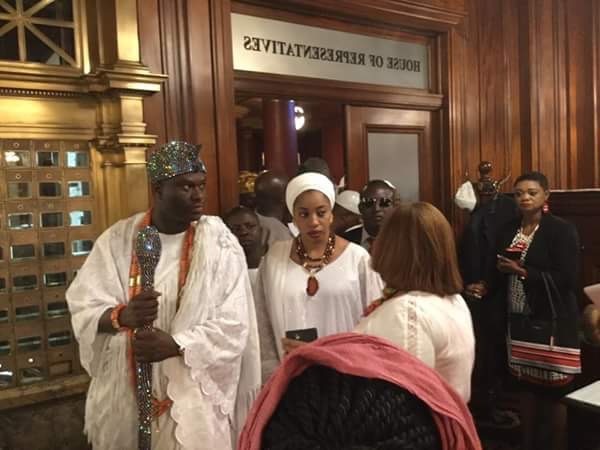 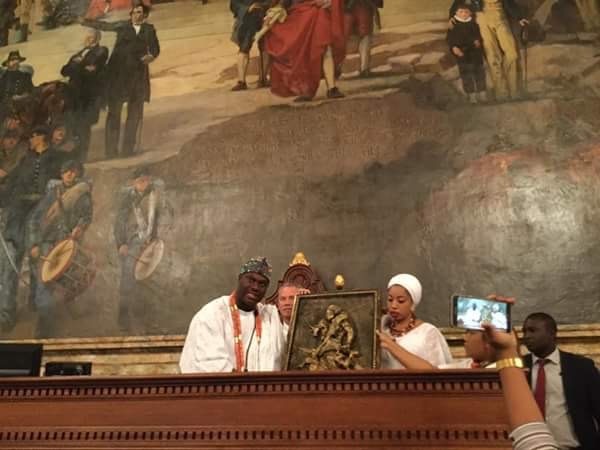 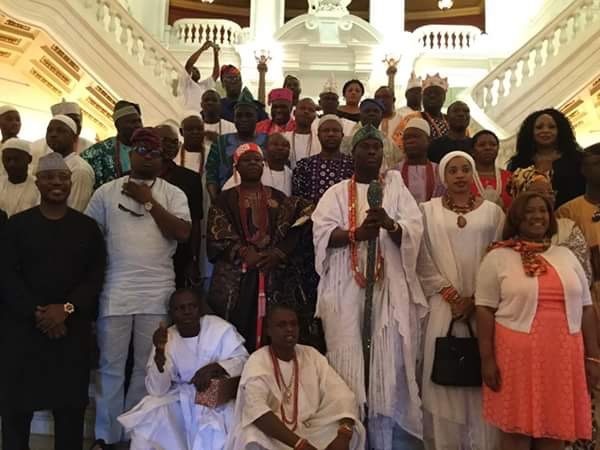 The Ooni and his queen Olori Wuraola Ogunwusi were recognized by the lawmakers who honoured them and also took pictures with them at the chambers.